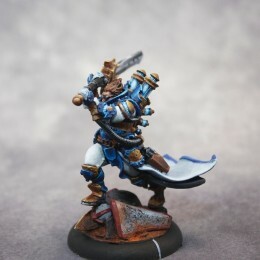 Lots more miniatures painted. 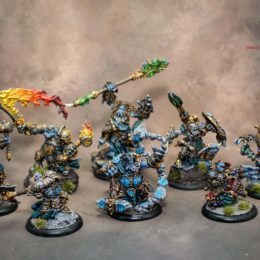 These are Trollblood Warcasters from Hordes (Privateer Press). 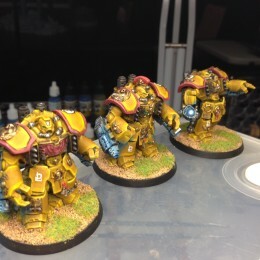 These were painted to level 4 quality, some on custom bases and others on extended basing. 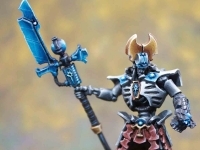 Most of the miniatures had some OSL glows painted on the weapon runes. 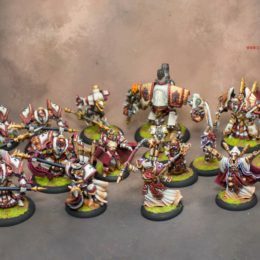 This Warmachine Menoth force was painted to our level 3 and level 4 quality (for some of the characters). 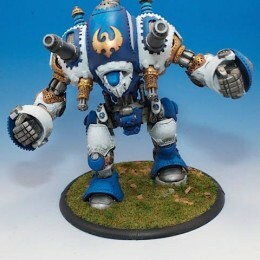 All the miniatures were to be painted to follow the Studio colours with some weathering around the feet and skirting. 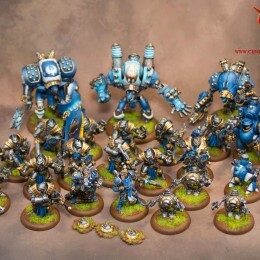 Well finally the Warmachine Cygnar army has been completed. 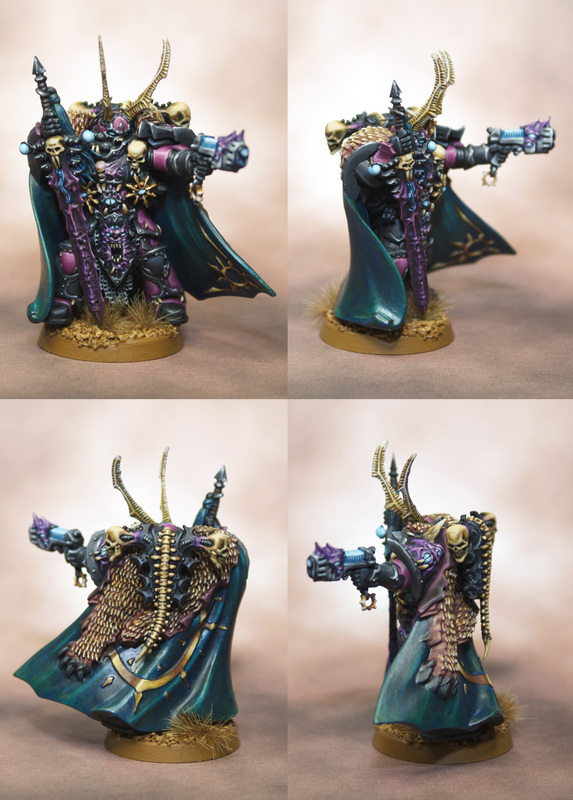 The army was commisisoned to be painted to tabletop quality by our artist Lee. 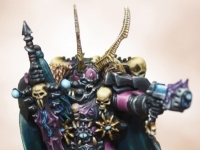 There was a considerable amount of miniatures involved here, but as you can see Lee was able to produce a very nice tabletop quality which you can see below in a good time frame. 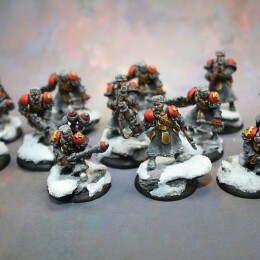 More Khador miniatures have been painted up for the Khador army commission. 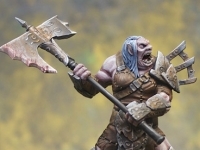 We’re currently getting the miniature in batches as each batch takes a while to paint due to the display quality paint work. 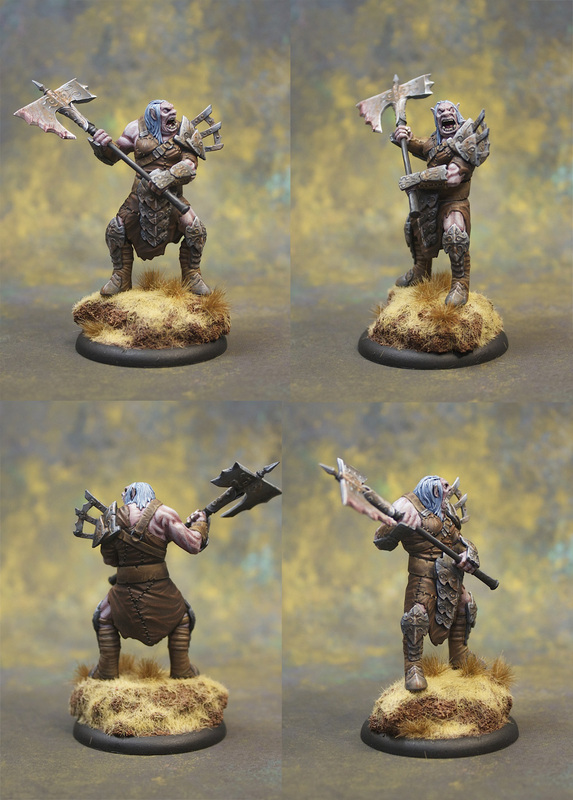 Some more Khador Winter Guard characters & solos have been painted up for the large Khador commission that we’re working on. 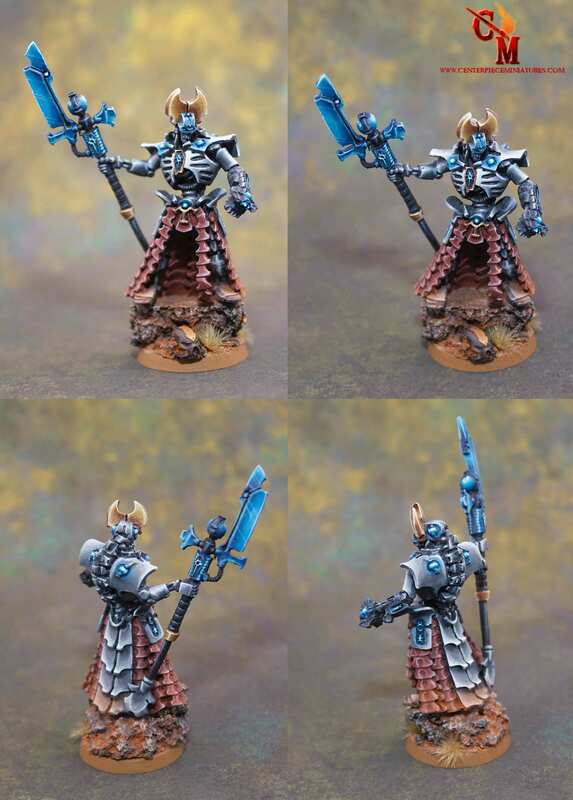 Several weeks back we painted the Winter Guard detachment, this time round we painted up their Standard Bearer, Officer and Kovnik Grigorovich. 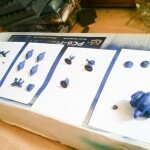 Also the bases of all the miniatures had their front arcs painted. 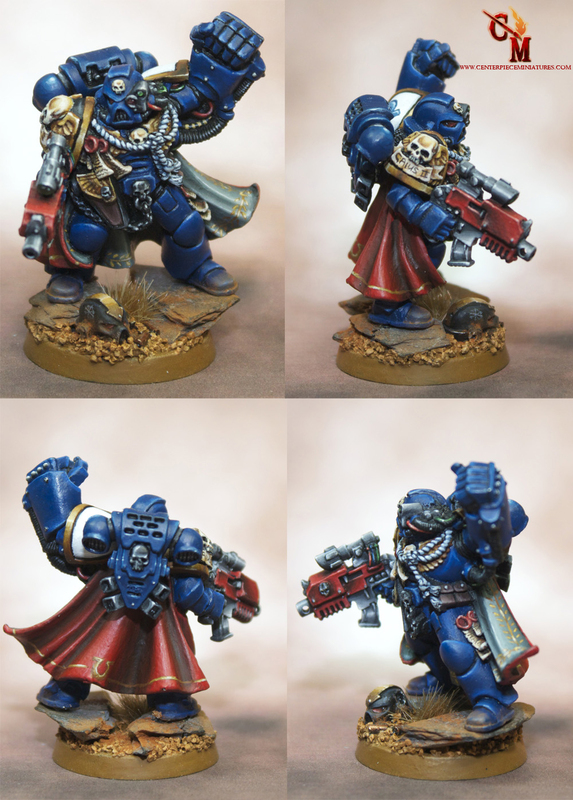 As with all the miniatures in the army, these were all painted to Display quality and were all based with crushed glass for the snow effect. 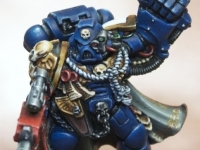 Well it was a small week of painting due to all the public holidays and the Easter break. I actually found time to play a game of Relic (by FFG) in which i got beaten soundly. Well things have started to get back to normal. Alot of the commissions that needed to be completed for Late March have been completed and the April commissions have begun. Here are this weeks updates. 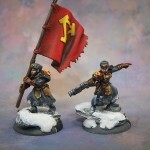 As part of an ongoing Warmachine Khador force commission, these Khador Winterguard were painted up to Display standard. 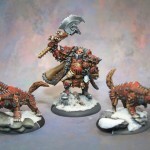 The bases were a grey granite base with snow covering. The snow covering was created by using Secret Weapon crush glass. The coats of the miniatures were also dusted with a white pigment powder to give the impression that snow has been kicked up on the miniatures.